the first person of color/Creole to co-host Today, a popular talk show on NBC. Until he left the show in 1997. Gumbel consistently demonstrated a hard driving style that produced among viewers mixed reaction to the articulate and well-read journalist. He has now become a major news star with CBS television. The second child of Dunbar Gumbel and Rhea Alice LeCesne Gumbel, Bryant Charles Gumbel was born in New Orleans, Louisiana, on September 29, 1948. He has two younger sisters, Rhonda and Renee, and an older brother, Greg, who is now well-known sports telecaster. The Gumbels relocated to Chicago when Bryant and Greg were infants. There Richard Gumbel, the son of a New Orleans Gambler, who had graduated from New Orleans's Xavier University and worked his way through Georgetown Law School, became Cook County Probate judge during Mayor Richard Dailey's political reign. Both parents were active in Democratic Party politics in Chicago. 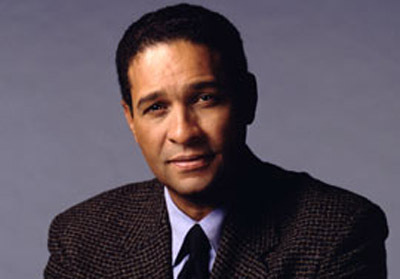 As Bryant Gumbel grew up in the Hyde Park section in Chicago, a middle-class neighborhood near the University of Chicago, his father remained a central influence in his life and stressed the importance of reading, writing, speaking, and listening. He also introduced his sons to sports, particularly baseball and the art of catching. Gumbel attended Roman Catholic elementary and high schools in Chicago, then in 1966 entered Bates College of Lewiston, Maine, where he played baseball and football. The long-haired young man stood out as one of three blacks in a student body of nine hundred. Although he was not as serious in his studies as he could have been and became a C student, he developed a sense of self-confidence that he has never lost. He decided also that he would devote his time to studies and not become and activist in civil rights movement of that era. After graduating in 1970 with a B.A. in history, a sports-related injury in college prevented him from being drafted for military service. It was Gumbel's flair for television journalism and ability to develop appealing stories on a variety of topics that made him attractive. In 1975, after he gave an off-the-cuff commentary on John Wooden, then basketball coach for the University of California, Los Angeles, he was tapped as co-host of the National Football League's Pregame show Grandstand, televised from New York. Continuing with KNBC in Los Angeles, he kept the New York assignment from 1976 to 1980, commuting on weekends to work for NBC sports as anchor for NFL football, major league baseball, and NCAA basketball. His assignments with NBC Sports expanded beginning in 1976 to include three Super Bowls, one World Series, five Thanksgiving Day Parades, and several golf tournaments. Co-hosts the Today show-Today's anchor Tom Brokaw left to anchor NBC Nightly News and in August 1981 Gumbel was asked to sit in as co-host on the Today show with Jane Pauley. On January 4, 1982, the Today show was reconstituted; along with the regular members-Jane Pauley, Gene Shalit, and Willard Scott-were newcomers Gumbel and news anchor Chris Wallace. Gumbel, the show's first creole co-host, was well-read, performed well, and became a young master of live television interviewing. 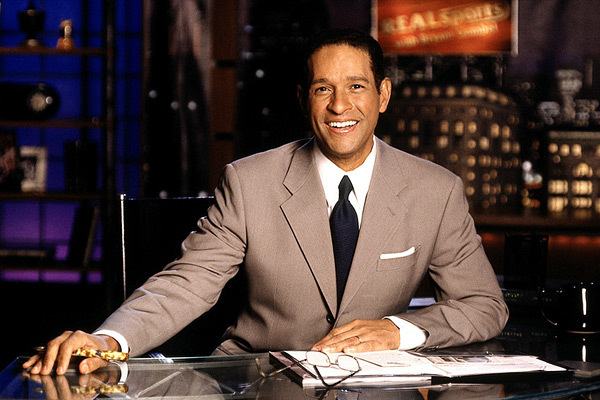 Critics doubted whether Gumbel, who had very little television news experience, could follow in the footsteps of such journalist style made him an asset to NBC and the show. After three years of zigzag ratings for first place in morning television viewing with rivals CBS Morning News and Good Morning America, in March 1985 Today was in first place. That fall Gumbel also hosted a late-afternoon NBC News program each month, and on April 1 of that year he broadcast the show from a private mass at the Vatican. The full cast gathered for an audience with the Pope. Gumbel resigned from Today show Only one day short of fifteen years as anchor, Gumbel left the Today show on January 3, 1997, with its highest ratings dominating ABC rival Good Morning America. On hand during his tearful departure, in addition to his NBC colleagues, were poet Maya Angelou, boxing great Muhammad Ali, and the artist formerly known as Prince. Gumbel was succeeded by Matt Lauer, who had joined the team in January 1994 as news anchor. Gumbel's legacy has been called relentless preparation for his work. After his retirement, he played golf, sorted through his offers, then on Thursday, March 13, 1997, Gumbel and CBS news announced Gumbel's new position. Three television networks bided for his service, and Gumbel accepted an offer from CBS to be a major news star with a weekly magazine, prime-time interview specials, and the opportunity to own and develop syndicated programs with the CBS syndication, Eyemark. Gumbel has been widely recognized for his work. In 1976 he won an Emmy Award for an Olympic sports special, another Emmy in 1977, the Los Angeles Press Club's Golden trip to Moscow in 1988, Gumbel won the Overseas Press Club's Edward R. Murrow Award for outstanding foreign affairs work. Twice the Washington Journalism Review's Annual Reader's Poll named him best morning television news interviewer, 1986 and 1987, and the Associated Press voted him a co-writer as broadcaster of the year. Gumbel received international awards from the NAACP. He received the Martin Luther King Award from the Congress of Racial Equality and the college Fund/UNCF. For more the seven years he has raised over three million dollars for UNCF scholarship through the Bryant Gumbel/Walt Disney World golf tournament. He is active in other philanthropies and has served onthe board for United Way and Xavier University.